He’s a UNCG trained dancer, choreographer, instructor, and artistic director of a Neo-Contemporary dance company. But at heart, Dom-Sebastian Alexis is a B-Boy. A Contemporary StreetDancer ready at any moment to dance/battle alongside his buddies. 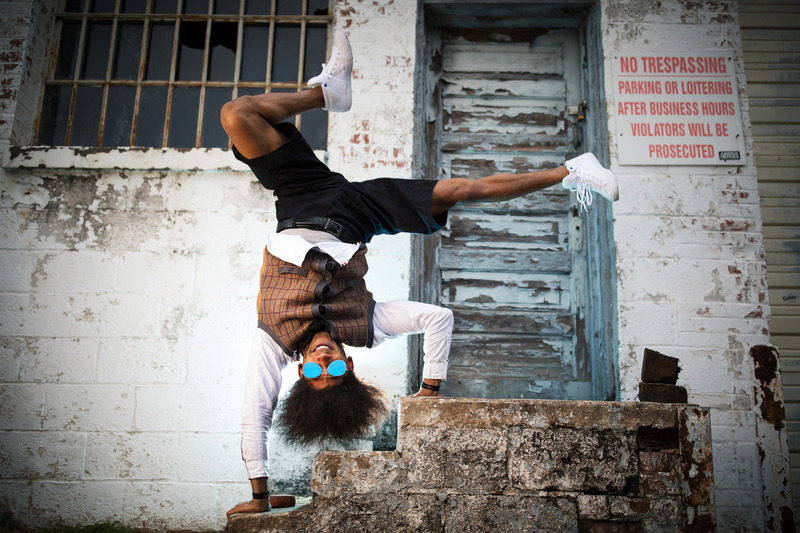 Dom-Sebastian, a Greensboro native, is the artistic director of TheBBoyBallet, co-founder of the Gate City Breakers, and one of the creative forces behind movement projects seen around the Gate City. The dance company includes about 10 B-Boys and 5 contemporary dancers who have performed at First Fridays, Carolina Theatre, LeBauer Park, and TEDx Greensboro. “When we go out, we don’t go out for the sole purpose of people to watch. We just want to dance. If you watch us dance, we do stuff for the crowd but we also do things for each other. We just like to have fun and support each other,” says Dom-Sebastian, who attended both Page High School and the Middle College at Greensboro College. “We are family that come together to dance and put on a show. It doesn’t feel like work, we just come to do what we need to do.” Dom-Sebastian also teaches classes at the Greensboro City Arts Center for the Dance Project, at Greensboro Dance Theatre. He recently performed with the Greensboro Ballet in their production of The Nutcracker and continues to spread dance knowledge.